ASTONS ESTATES say LOCATION LOCATION LOCATION!!.. Set in the DESIRABLE VILLAGE of Milton Malsor this FAMILY HOME in GOOD CONDITION THROUGHOUT is a MUST SEE plus plenty of living space 2728 Sq Ft 253.4 Sq Mtrs. The cottage built mid 18th century. Stone under thatch five bedroom detached cottage with a one bedroom ANNEXE. The Cottage retains many character features including EXPOSED BEAMS, inglenook fireplaces and deep windowsills. The cottage has been REFURBISHED to a high standard and combines period and contemporary features. RE-THATCHED in 1996 in netted combat wheat. There is a CONSERVATORY, mature walled gardens, OFF ROAD PARKING for many cars and views over the village green to the front. Milton Malsor has two public houses, a village hall and a shop. Only 15 miles from MILTON KEYNES and 4 miles from Northampton. Close to M1 junction 15. Standing in the centre of the property with exposed ceiling beams and containing the stairs rising to the first floor, there are doors leading to the principal reception rooms and the cloakroom. A well proportioned room with a beamed ceiling and stone inglenook fireplace with a cast iron log burner on a stone heath. There are leaded light mullioned windows to front, side and rear elevations and a window seat. There are TV and wall light points. With a stone flagged floor beneath a beamed ceiling, this room also has an inglenook fireplace with a cast iron log burner, casement windows to front, side and rear elevations and wall light points. With a white suite of WC and vanity wash basin with cupboards under in alcove recess. Leaded light window to the side elevation. With a three casement leaded light mullioned window to the front elevation, there is a window seat, an understairs storage cupboard and a cloaks cupboard. PVCu construction with Victorian end polycarbonate roof over a natural oak floor, there are light and power connections, a central heating radiator, a ceramic tiled floor and a French door to the garden. With a low beamed ceiling and three casement mullioned windows to the front and side elevations, together with a two casement window to the rear elevation. There is a built-in cupboard and shelving. Another well proportioned double bedroom with a low beamed ceiling and mullioned windows to front, side and rear, there is a TV point and built-in wardrobe with hanging space. With a range of fitted wardrobes and boiler cupboard, this room has a removable ladder which leads to a sleeping deck over. There are windows to the rear elevation. Comprising a white suite of panelled bath with integrated shower over, WC with concealed cistern and oval vanity wash basin with mixer tap over and cupboards under. Window to side elevation. With a vaulted ceiling with exposed purlins and floor to ceiling leaded light windows standing either side of an exposed chimney breast on the gable elevation. TV point. A superb room designed by Fired Earth with a white suite of slipper bath on ball and claw feet, vanity wash basin with cupboards under, WC and an open rain shower with concealed floor drain and statement wall with leaded light windows either side. There are exposed purlin and A frame timbers and dimmer spot switches. The property stands back from the High Street behind a front garden bounded by a stone wall and which is well stocked with a variety of mature shrubs and flowers. Double leaf five bar gates lead along the side of the house via a tarmacked drive through a second set of gates, in turn opening onto a tarmac parking area for several vehicles. Formerly a garage and constructed of stone with a tiled roof, the annexe comprises three ground floor rooms and with a spiral staircase to a sleeping deck. Fitted with floor cabinets with laminated working surfaces incorporating a sink unit and ceramic hob. Comprising a white suite of ceramic tiled Mira shower cubicle, pedestal wash basin and WC. Approached via a spiral staircase and with exposed purlin timbers, there is a balustrade overlooking the kitchen/dining room. Main drainage, gas, water and electricity are connected. Central heating is through radiators from an Ideal gas fired boiler which also provides the domestic hot water. There is a passive infra red security alarm system. (None of these services has been tested). 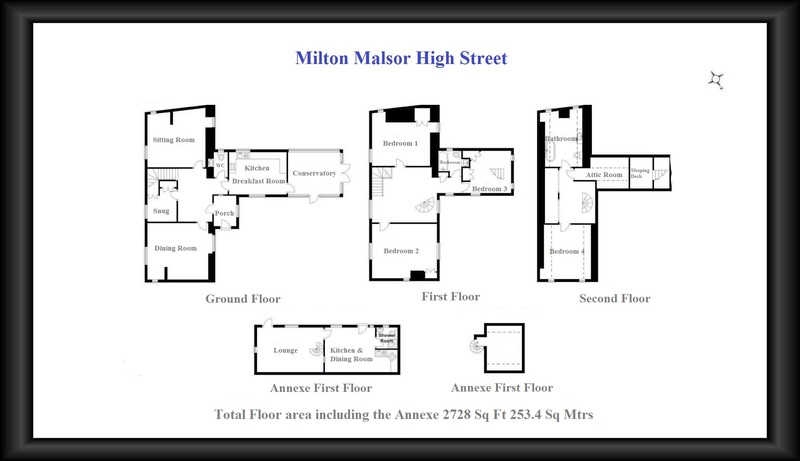 Milton Malsor is located 4 miles south of Northampton and just 2 miles from M1 J15. Much of the village lies within a conservation area and there are many traditional Northamptonshire stone cottages as well as three working farms - an industry at the core of Milton Malsor's history. Amenities within the village itself include a church, Baptist chapel, two public houses, retirement care home, shop, village hall and primary school which links to Campion School, Bugbrooke for secondary education. It also has a number of active social and sporting groups including W.I., scouts, brownies, football, bowls, badminton, arts and historical society. A large supermarket and a leisure centre are positioned just 3 miles away on the edge of Northampton town centre, which along with high street shopping and local authority services, also has a train station offering mainlines services to London Euston and Birmingham New Street. We offer FREE in house no obligation mortgage service. Speak to Ian or Kerri. All measurements are approximate. The mention of appliances and/or services within these sales particulars does not imply that they are in full efficient working order. Please note that any services, heating systems or appliances have not been tested and no warranty can be given or implied as to their working order. 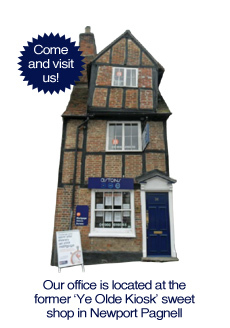 MORTGAGE & FINANCIAL - Mortgages MK can provide you with up to the minute information on all available rates. To arrange an appointment, telephone this office YOUR HOME IS AT RISK IF YOU DO NOT KEEP UP REPAYMENTS ON A MORTGAGE OR OTHER LOANS SECURED ON IT. Full quotation available on request. A suitable life policy may be required. Loans subject to status. Minimum age 18. The above details have been submitted to our clients but at the moment have not been approved by them and we therefore cannot guarantee their accuracy and they are distributed on this basis. Please ensure that you have a copy of our approved details before committing yourself to any expense.